Planning for an impending important meeting at your work place? Well, no doubt you would want everything to be perfect for the D-day. Well, creating an itinerary can surely make your job a lot easier. There is no need to worry about designing one. You can also see Event Itinerary Template. 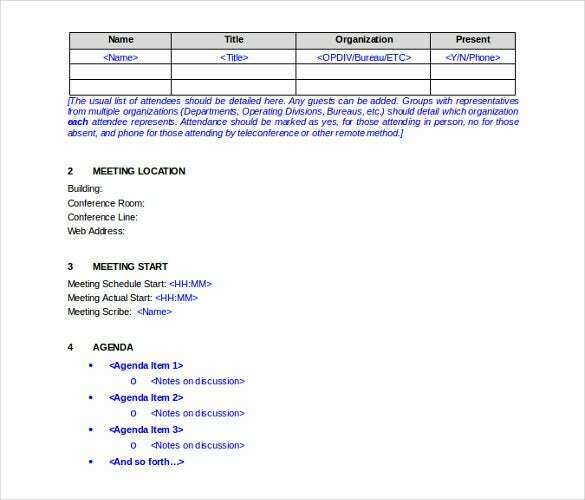 You can easily find editable meeting itinerary templates that are just as good and can make your job easier. Download this for free and customize it according to your needs. 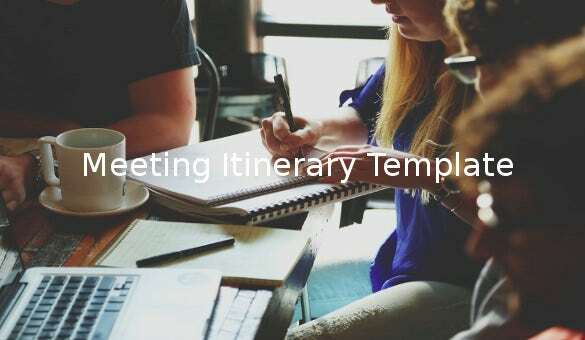 Key in all the details like the dates, timings, venue, speakers etc and then pass it on to all the people who are planning to attend the meeting Itinerary Template. 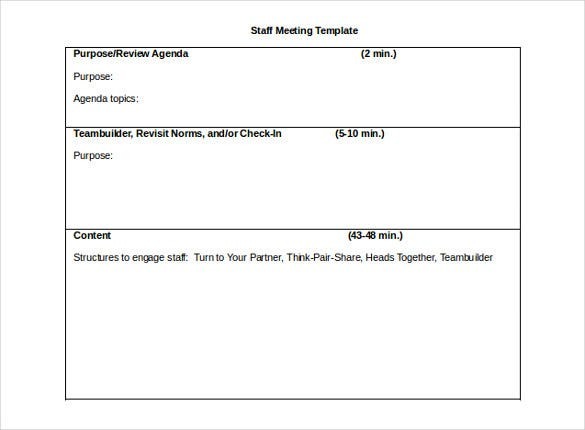 csefel.vanderbilt.edu | This is a Sample Model Team Meeting Itinerary Template ideal for organizations conducting frequent meetings through the day. 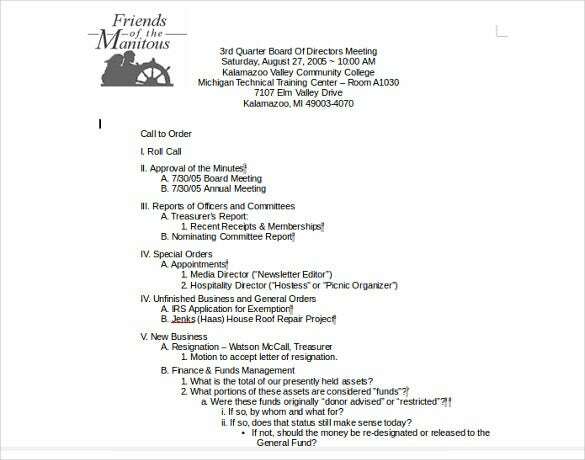 It briefly states the objectives of the meeting and the attendees and the course of action and agendas for the meeting. 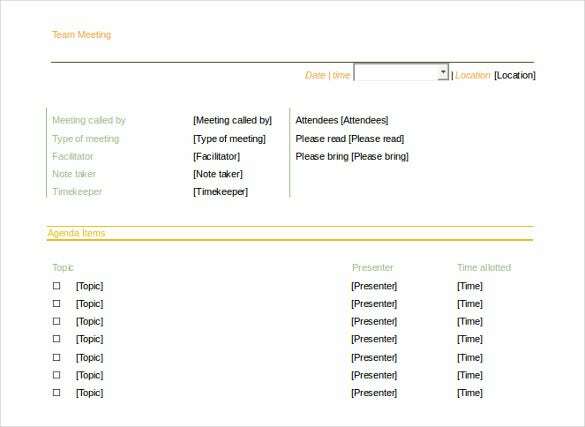 solutionsforsecretaries.com | This is a Meeting template for the Director. 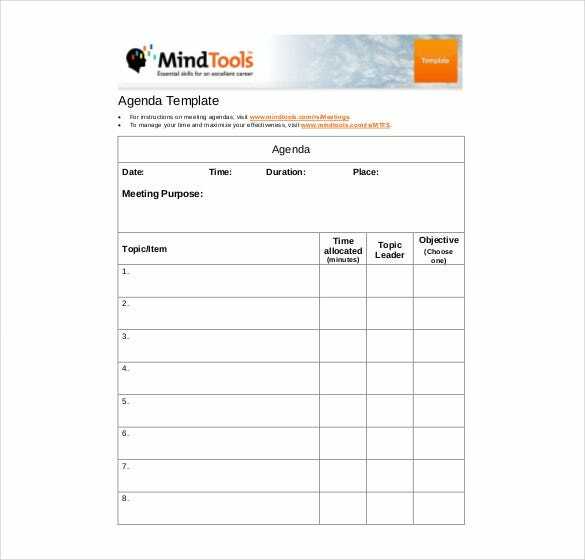 This is ideally designed for Companies and can be used for Board meetings of less formal organizations. 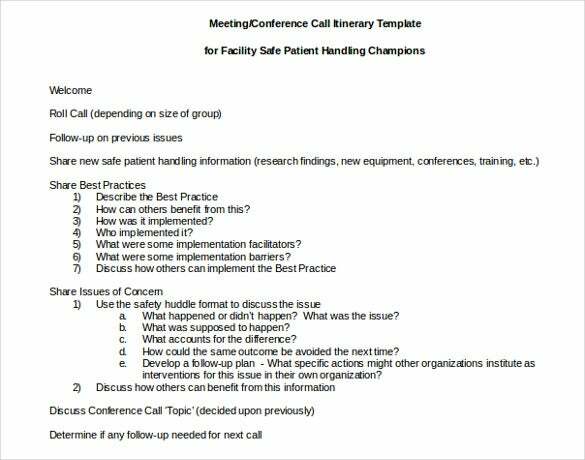 nidcr.nih.gov | This template can be used to summarize the minutes of the meeting in a page. It is a summary sheet to other documents which can be added as appendices. 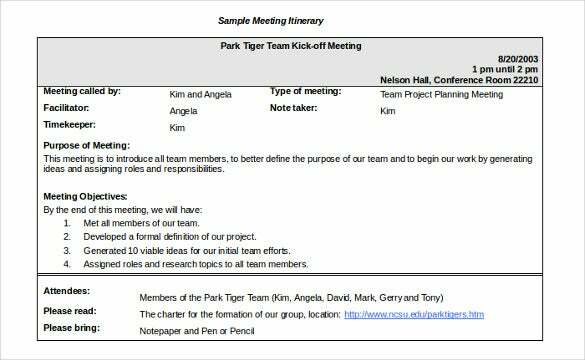 ncsu.edu | This Sample Meeting Agenda Itinerary Template can be used for local clubs and community centres and can be used for conveying the agenda of an upcoming meeting. 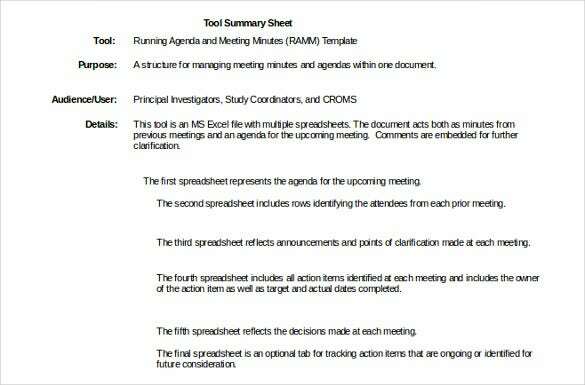 It has the details of the facilitator, timekeeper, note taker etc. 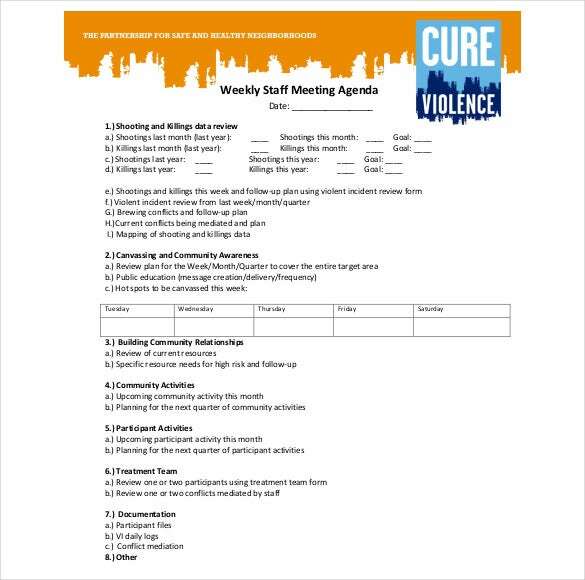 healthiersf.org | This is a simple template for staff meetings which can be used for any clubs or resident associations or the like. 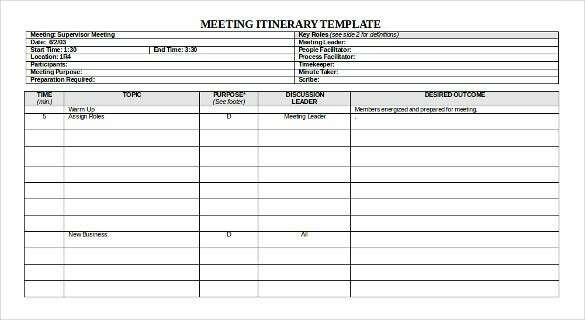 These are ideal for short meetings wherein the template is circulated a little ahead of the meeting and then the participants can fill in the details in the template itself. 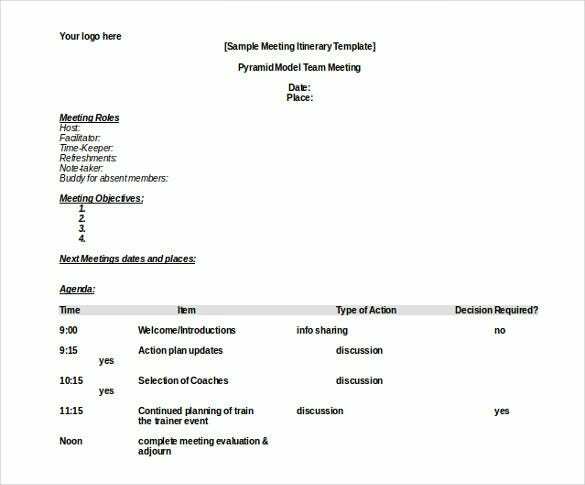 lean.org | This is a Supervisors Meeting Agenda Itinerary Template which is designed for Companies or factories where supervisors and managers have to meet to discuss various concerns. This template neatly chalks out the topics of discussion, purpose and timelines. 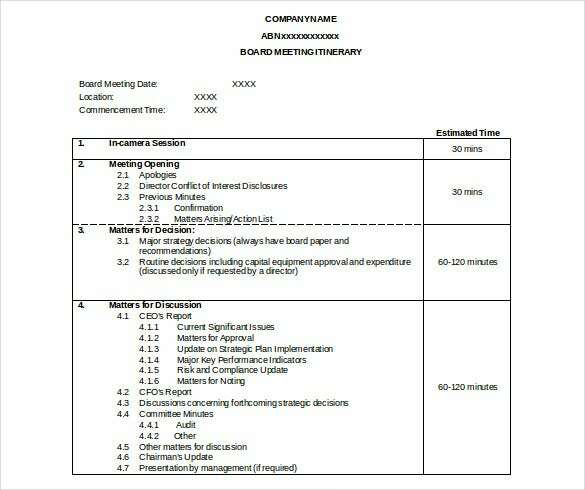 effectivegovernance.com.au | This is a simple Board Meeting Agenda Itinerary Template with agenda and timelines clearly outlined. This can be used as a cover page for a more detailed account of all points of discussion or can be used just like this. 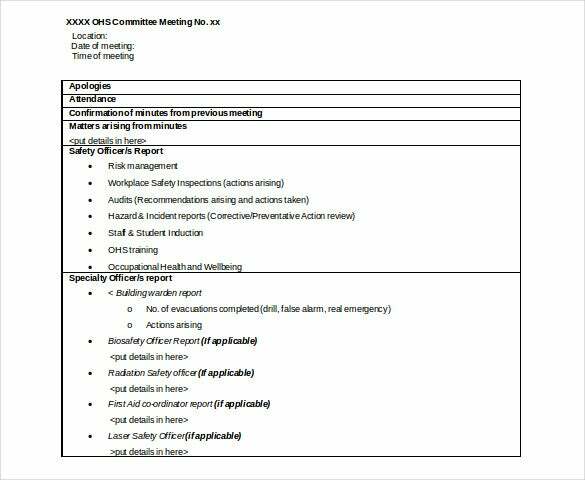 monash.edu | This Meeting Template is free for download and can double up as an index for all the reports that can be added as annexure. This template will then act as a summary to state in one line the outcome of each report. 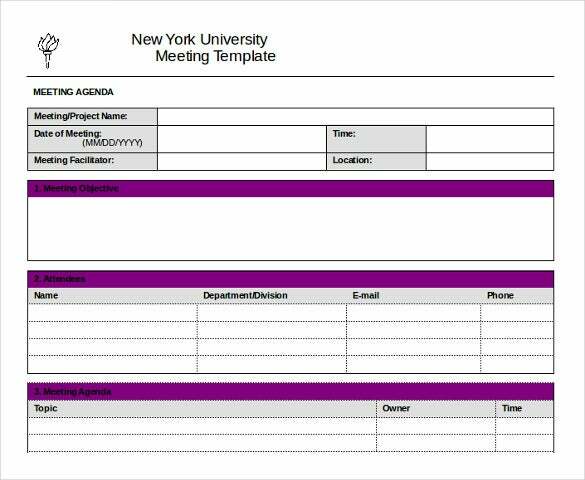 nyu.edu | This Meeting Minutes Template can be filled in for any kind of university meeting and can be circulated within the team for reference. All the details can be filled online and links can be referenced. It clearly names the attendees and their contact information. inphilanthropy.org | This template can be downloaded can be used. It is a smart template in the sense that is partly automated. The date can be selected by clicking on the drop-down menu beside it and every other detail can be filled in without a hassle. It can then be mailed to the relevant people.